Saturday felt like Summer and it is only mid spring. Ohio is like that. It is always hard to predict the weather in the spring. Could be chilly and wet. Could be hot and humid. Saturday was hot and breezy. Perfect weather for drying on the line. Clothes lines are a source of nostalgia for me. 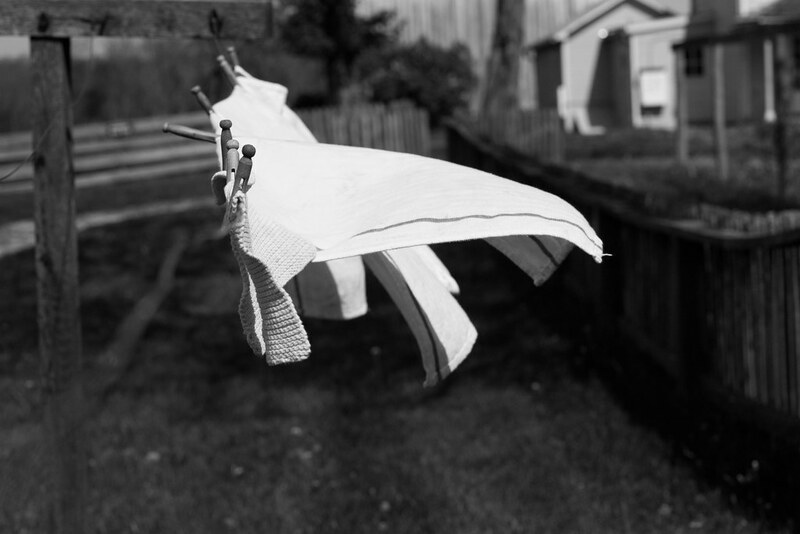 My mother had a clothes line in the back yard when we lived outside of Boston as kids. The clothes pins were stored in a bag that hung permanently from one of the lines. I am tickled that they are making a comeback as people try to reduce their energy consumption. Sometimes going back to older and simpler ways is a good choice. That’s nice that you have that memory. I’m a sucker for a clothesline and clothespins, even though we never had one growing up. I would help my neighbor hang her wash and I’d string up my own line, between the trees in the backyard, when I washed my doll’s clothes.